ILBS has become a high volume centre of excellence for complex liver and pancreatic surgeries. It is the only public sector undertaking in India with a successful live donor liver transplantation program for both Adult and Pediatrics. The Department offers high end services to patients with hepatobiliary and pancreatic diseases. Advanced laparoscopic surgeries are being performed with increasing frequency and success. The department is equipped with the state of the art infrastructure and dedicated professionals. Our results are at par with the best international standards. Patients are being referred not only from every corner of the country but also internationally. We have successfully performed transplant on patients from Afghanistan, Pakistan, Nepal, Bhutan, Russia, Uzbekistan, Kazakhstan, Myanmar and Iraq. The department is successfully conducting the M.Ch. program in HPB Surgery which has become one the most sought after surgical super specialty. The department has deep interest in research, clinical and basic, as evidenced by publications in national and international journals. Department has extended its service in Pediatric transplant. Many children with low body weight are being successfully transplanted with reduced and hyper reduced liver grafts. The transplant program and experience has matured and is expanding. A second independent liver transplant team under Dr Senthil, has become operational and would help the long waiting list of patients. New protocol for ABO incompatible (group not matched) liver transplant has been established, and, three patients were transplanted successfully including a Child. Two new General wards for HPB patients and one Private ward was opened for Transplant Patient. The post transplant ward has been upgraded to High Dependency Unit as a step down facility. The Mch course offered by the department has become one of the most sought after course for Superspeciality training in the country, showing the credibility of the department. In the nationwide NEET exam conducted this year, candidate who opted for the course were the top rankers and the seats were filled by rank 24. The Department of HPB and Liver Transplant Surgery is being increasingly recognized in both patient and medical circles as a destination for high quality patient care. A total 561 liver transplants has been performed till date for both Adult and Pediatric patients. The program has grown in strength with around hundred transplants are being performed every year for the last four consecutive years.About 15% of transplant has been emergency, which is very unique and rarity in for any program. 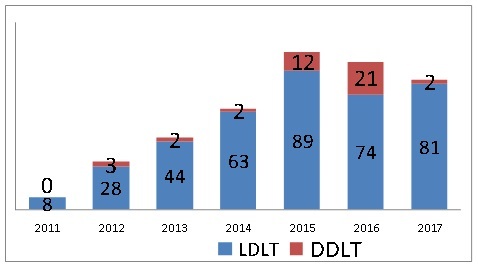 Liver transplantation for high risk patients (ALF, ACLF, advanced portal vein thrombosis, ABO incompatible,prior surgical interventions, morbidly obese, low weight children, comorbid illness, etc) is consistently being performed. The success rate is comparable to best centers in world. Majority of transplant has been live donors. The live donor outcome is among the best in the world. The results have been published in high impact international journals. Fifty deceased donor liver transplantations has been are performed till date. Department has set a new trend of interstate organ transportation in the country. Majority of the organs were retrieved from distant cities such as Jaipur, Indore, Lucknow, Patna and Chandigarh. Department is committed to development of Cadaveric organ transplantation in other public sector hospital. Towards this end we have trained teams from other institutes like SMS Jaipur, JIPMER Pondicherry, KGMC Lucknow, IGIMS Patna and SGPGI Lucknow. We have started liver transplant program at SMS Jaipur successfully. Which is a big achievement for the Institute and it will set a precedent for other public sector institute to start liver transplant program in the country. Department has a well-established pediatric liver transplant program with 65 pediatric transplants till date. The success rate is at par with best centersin the world. Majority of the children were acute liver failure needing emergency transplant the youngest such been 5 months old. We have started performing reduced and hyper reduced (mono segment) live donor grafts which has made it possible to perform liver transplant in infants with very low body weight. ABO incompatible liver transplant is started for pediatric patients. Extended Hepatectomy, Complex liver resectionswith vascular reconstruction, hepato-pancreaticoduodenectomy, multivisceral resections are being increasingly performed for hepatobiliary malignancies. Pancreatic resection with vascular reconstruction, advanced laparoscopic surgery, pediatric hepatobiliary surgeries, shunt surgeries are being consistently performed. The results have been at par with the best centers in the world. The clinical and reaserch work done in the department has been published in high impact factor journals. The department had one of the highest numbers of abstracts in IASG ,Puduchery and a randomized controlled trial carries out in department on technique of back table perfusion was awrded as best paper in oral presentation and was further accepted for publication in Transplantation. The residents are actively involved in academic research and promoted to present their research work in various international and national conference. The below mentioned list provides the details of research work presented during academic year 2017. IHPBA international congress 2018, Geneva, Switzerland: Living Donor Liver Transplantation for Alcoholic Liver Disease; Does Abstinence Correlate with Recidivism? (Oral presentation) : Dr. Brahmadatta Pattnaik. IHPBA international congress 2018, Geneva, Switzerland:Correlation of pre-operative volumetric assessments with intraoperative graft weight in donors of living donor liver transplantation (Poster presentation): Dr Nihar Mohapatra. Annual congress of International Liver Transplant Society-ILTS, 2018. Lisbon, Portugal:Adipose tissue derived mesenchymal stem cells in cirrhotics and healthy individuals- Are they the same? (Poster presentation): Dr Kumaraswamy P.
Annual congress of International Liver Transplant Society-ILTS, 2018. 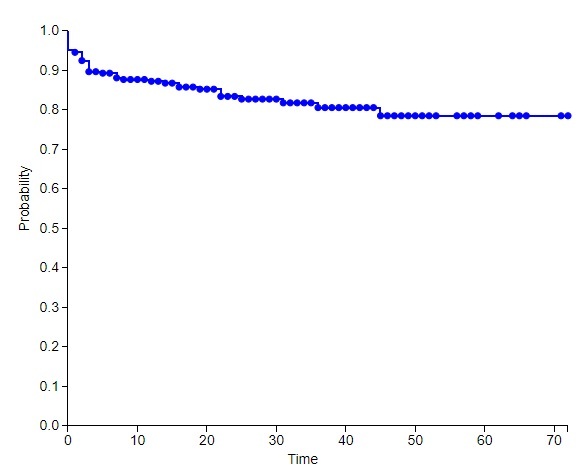 Lisbon, Portugal: Liver transplantation in acute on chronic liver failure. (Poster presentation): Dr Shashwat Sarin. A multiple regression analysis of factors predicting early liver regeneration in live liver donors and their clinical implications (Oral presentation, award session at Liver Transplant Society of india- LTSI National conference 2018, AIIMS New Delhi) by Dr Nihar Mohapatra. Effect of proximal spleno renal shunt on intraoperative portal venous pressure and its correlation with clinical outcomes (Poster presentation at IHPBA national chapter 2018, Pune India) by Dr Nihar Mohapatra. Pretransplant monocyte as a biomarker to predict sepsis and acute rejection after liver transplantation (poster presentation at LTSI 2018, AIIMS , New Delhi by Dr Imtiakum Jamir. Hilar cholangiocarcinoma-Surgical experience from tertiary care hospital, (poster presentation at RGCON, New Delhi 2018- by Dr Kumaraswamy (Received the best poster award). Donor outcomes in Living donor liver transplantation, influenced by duo-selection and surgery (Poster presentation MCLD, Chennai 2018) by Dr Kumaraswamy. Expanding donor pool in Living donor liver transplantation-Experience with NASH and Fibrosis, oral presentation INASL 2018, New Delhi and International liver symposium, New Delhi 2018, by Dr Kumaraswamy. Liver structure and function assessment after proximal spleno renal shunt in patients with EHPVO (Poster presentation at IHPBA Pune 2018) by Dr Kumaraswamy. Living donor liver transplant for acute liver failure: donor safety and recipient outcome (Poster presentation at 4th international Liver Symposium, 2018, New Delhi) by Dr Ankur Vagadia. Liver Transplantation in Acute on Chronic Liver Failure (Poster presentation at 4th International Liver Symposium, 2018, New Delhi) by Dr Shashwat Sarin.